Can you believe the school year is already in full swing? It feels like the first day of school was just yesterday. In fact, that first day was so special for our family, as my older daughter was starting Kindergarten and my younger daughter was starting full-day preschool. Unfortunately, due to stress, I woke up that morning with a bothersome tension headache. 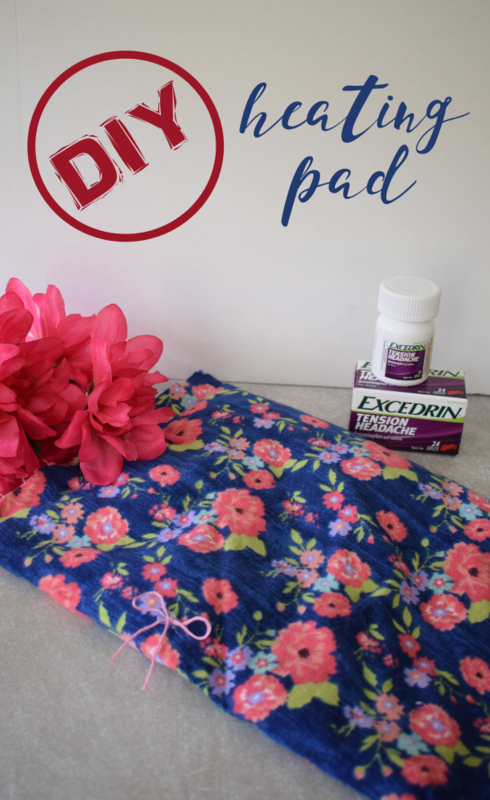 Luckily, I had picked up Excedrin® Tension Headache during a recent trip to Walmart and it really helped to relieve my pain quickly, allowing me to enjoy this special day with my daughters. I love that Excedrin® delivers fast relief for multiple types of headaches. Stressful situations always give me tension headaches. Thanks to Excedrin® Tension Headache, I was able to fully celebrate the first day of school with my daughters in a fun and meaningful way. I was able to be present in the moment and get to know the kids’ teachers. I was able to take plenty of pictures of my kids with their new backpacks in front of their new schools. I was even able to take my daughters out for a celebratory ice-cream treat after school was over. 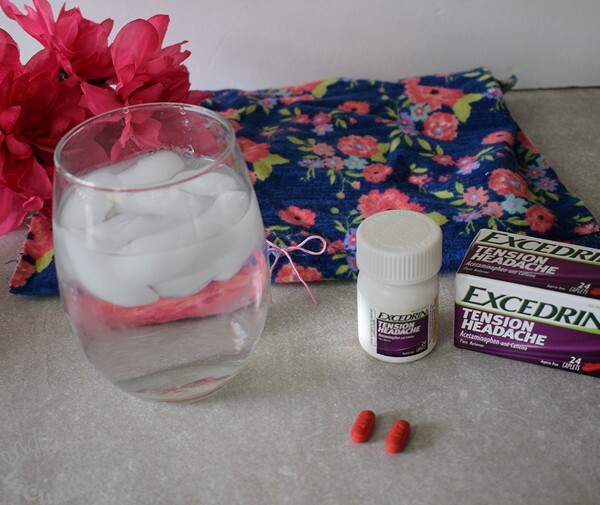 When it comes to combating a tension headache, my go-to solution is always Excedrin® Tension Headache. I appreciate that it provides aspirin-free headache relief. 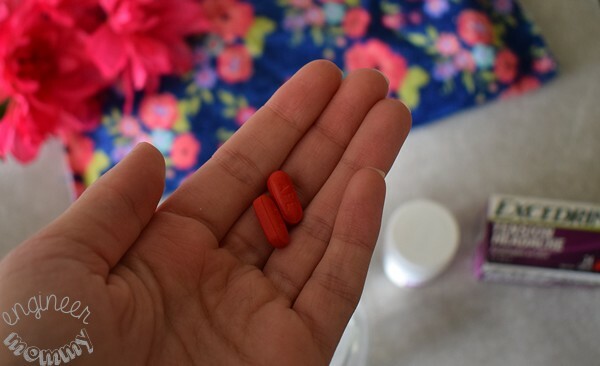 The dosage of two Excedrin® Tension Headache tablets is a simple way to relieve my headache pain quickly and allow me to get back to enjoying the everyday moments! It’s not just headaches that get in the way of enjoying life. Occasionally, muscle aches can be very bothersome. 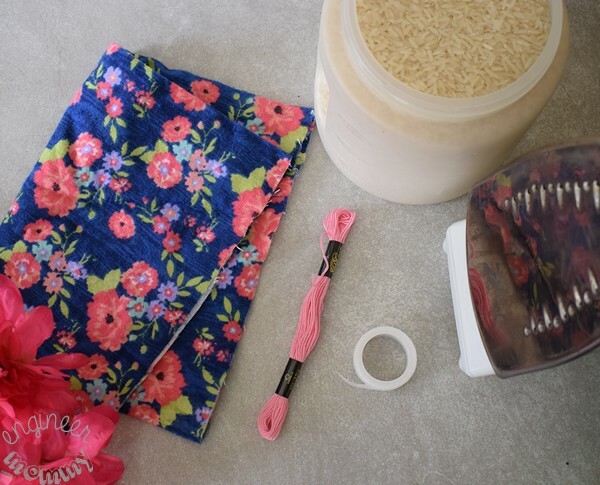 Today, I will be sharing an easy tutorial for making a DIY Heating Pad, which can be used to soothe those sore muscles. Here’s a sneak peek at the finished project! 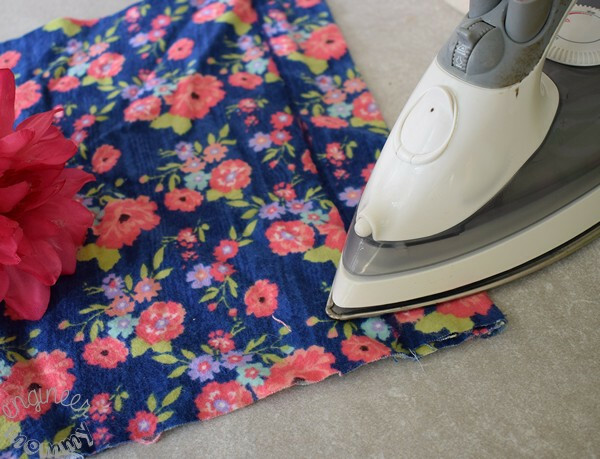 Cut the fabric into a rectangle that’s approximately 15″ x 8″. Fold it over to create a pocket. 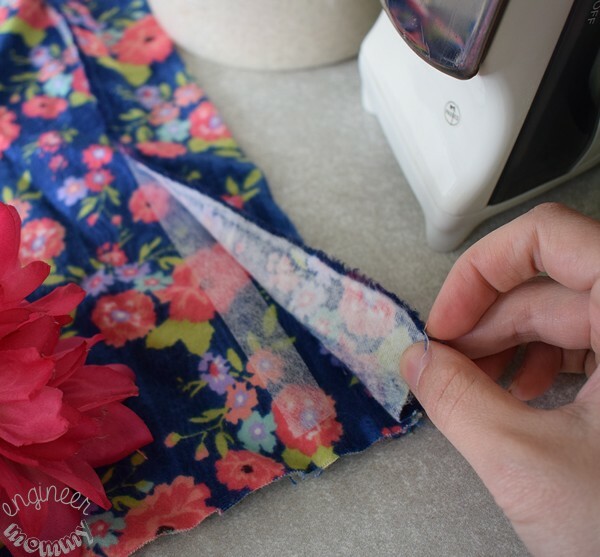 Use the hem tape to seal the edges. Place a strip of the tape along a seam. Then use the iron to adhere the two edges of the fabric. Repeat this procedure so that three sides are completely sealed and the top is open. 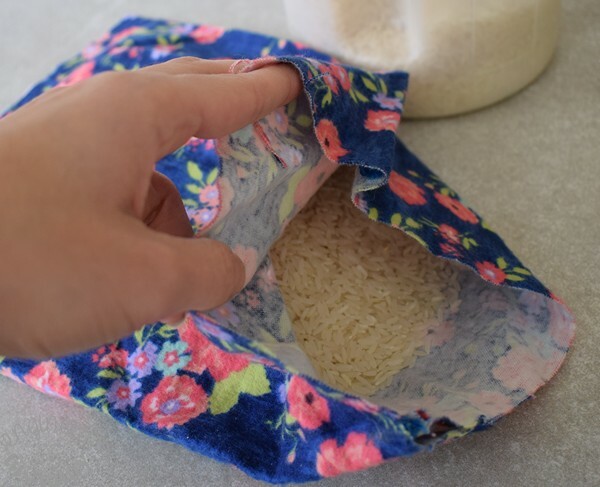 This will create a pocket that’s ready to be filled with rice. Use the hem tape to seal the fourth – and final – edge. Make a small bow using the embroidery floss or ribbon and adhere it to the heating pad for a cute decorative element. Notice in the picture below how the heating pad is flexible enough to easily mold to the shape of my hand. Only 15-20 seconds in the microwave will warm up the rice inside to soothe tired muscles. I absolutely love the way my heating pad came out. If you’d like to try this project, keep in mind that you can customize the fabric pattern, heating pad size, etc. In addition to my heating pad, I like to keep Excedrin® Tension Headache on hand so I’m always prepared for the unexpected. While I was at the store picking up Excedrin® Tension Headache, I also picked up Excedrin® Extra Strength. 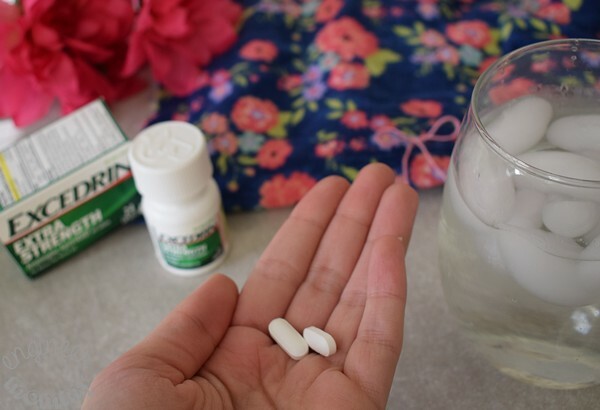 I love that Excedrin® Extra Strength provides fast headache relief! Did you know that for some, the relief starts in just 15 minutes?! That’s amazing! 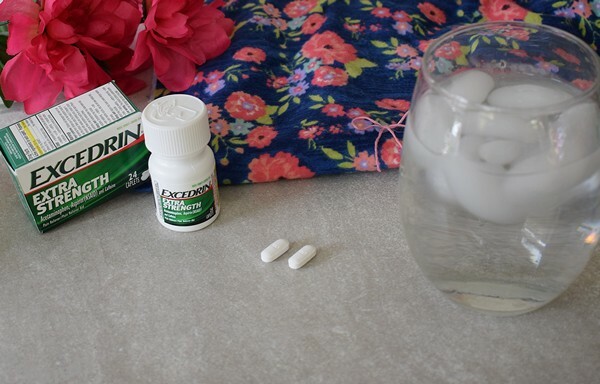 Keeping Excedrin® Extra Strength on hand is an easy way to make sure I don’t let those aches & pains get in my way! Do you suffer from headaches? Stop suffering and find a solution that works. Excedrin® provides fast relief from multiple headache types. 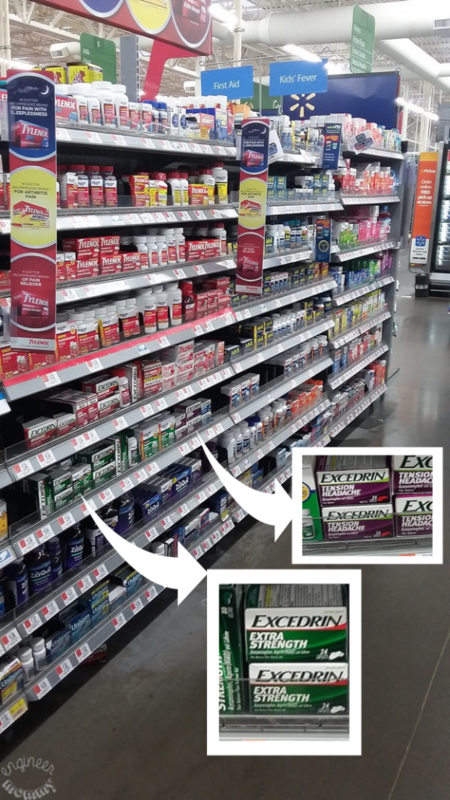 Look for Excedrin® in the pain reliever aisle of your local Walmart store. Use as directed. 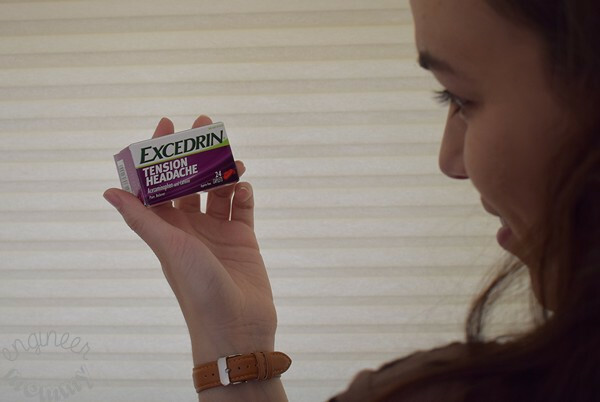 Now, learn more about the various Excedrin® products and tell me: Do headaches ever get in the way of your ability to enjoy everyday moments? 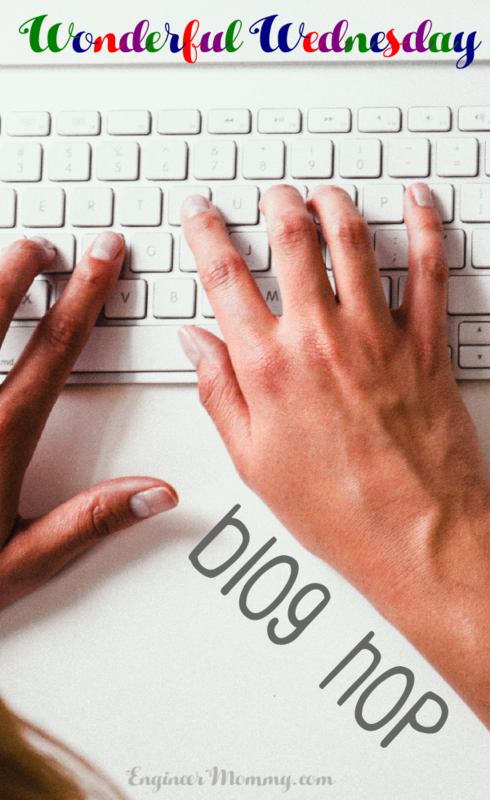 How do you combat aches & pains quickly and easily? I love my Excederin. I use it all the time. I will have to try making this heating pad to go along with it next time. I love that this is no sew! I have wanted to make one for a while, but my sewing skills are horrific! I made one of these DIY heating pads for the back of my neck. Great because you can make them any size you need. I need to make the DIY heating pad. I love that it’s filled with rice and I can make it in any size I need. What a crafty idea!! I want to try this because a get bad cramps once a month. I definitely need to make one of these DIY heating pads ASAP! I’ve had the biggest headache these past few days. I need a new one of these! The one I have smells like my freezer now lol. I love how easy it looks to make. I do use Excedrin migraine sometimes. If I can catch it soon enough, it does help with my oncoming migraine. 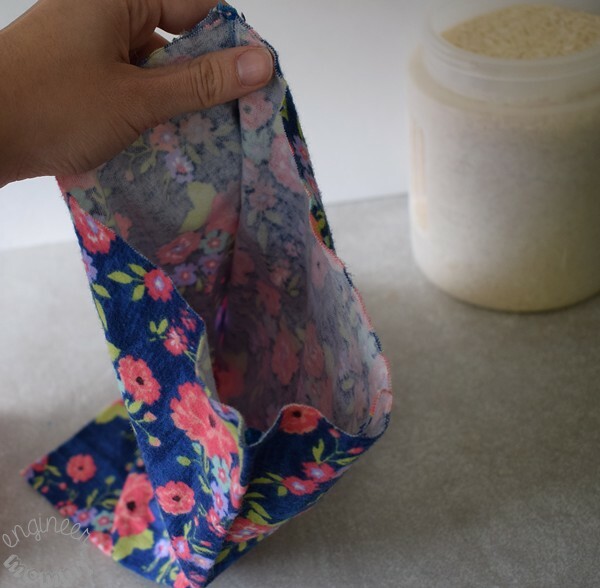 I have seen a lot of people with homemade heating pads like this and have always wondered how to make them! I need to make one for my ankle. I made a heating bag like this and I love it. I will have to pick up some Excedrin Tension Headache tablets to try. I have been getting a lot of headaches lately. Love the heating pad. They tend to get pricey when you have to suddenly buy one at the store. There’s no worry with (and forgive this if it sounds like a stupid question) the rice cooking, even without water? I’ve used this many times (and I’ve used other DIY versions over the years), and I’ve never had the rice get cooked. Thanks for visiting, Jacqui! Have a wonderful weekend! 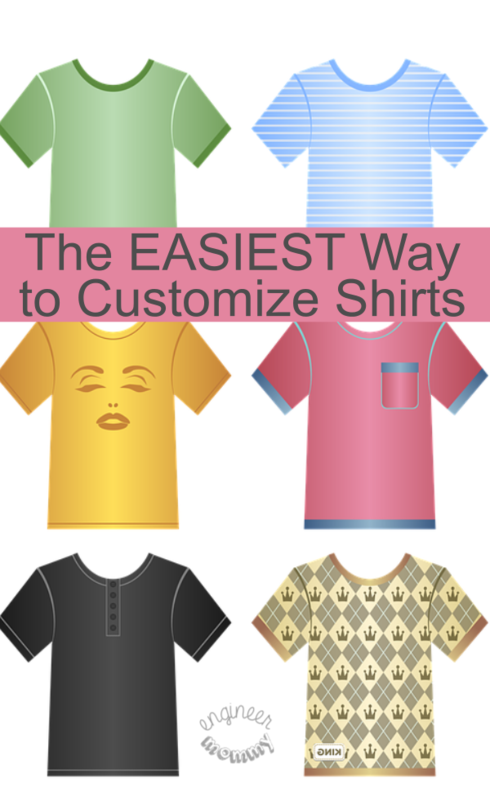 This is a great tutorial, I have never thought of making one myself but this helps. I have made these heating pads before and I love how great they work!! Great post!! That DIY heating pad is something I would want to try making. I can’t believe it is that easy! I could make a larger one to use for my lower back pain. I do suffer from tension headaches occasionally, so I am going to pick up some Excedrin too. I love your diy heating pad. I need to make one for myself soon. I love Excedrin medication. It works so well when I’m in pain or have a headache. 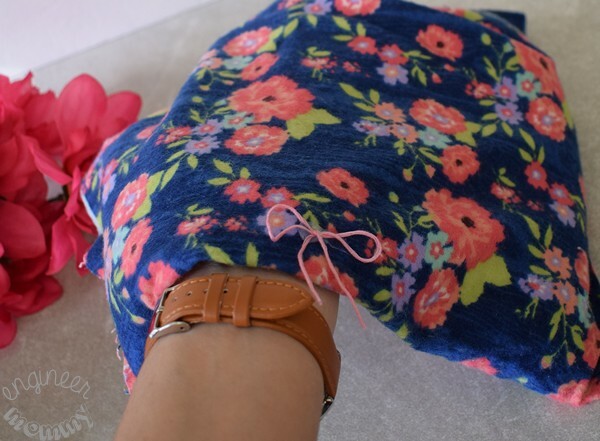 This DIY heating pad is a great idea. I love the material you chose. You can also use dry corn too in the DIY heating pads. Thanks for sharing the information. My daughter made a smiliar heating solution for her hands last week! This is a great idea. What a nifty idea! Headaches have plagued me for a long time, so maybe this will help me forget I have one. This is such an easy DIY, I love that I can use a fun print. My back has been hurting lately and I don’t own a heating pad; so I guess I need to just make one. I did a felt pouch to store tissue but didn’t use the iron and it came undone! Lol I know for next time.